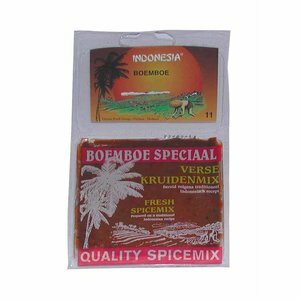 Fresh spice mix for Roedjak. 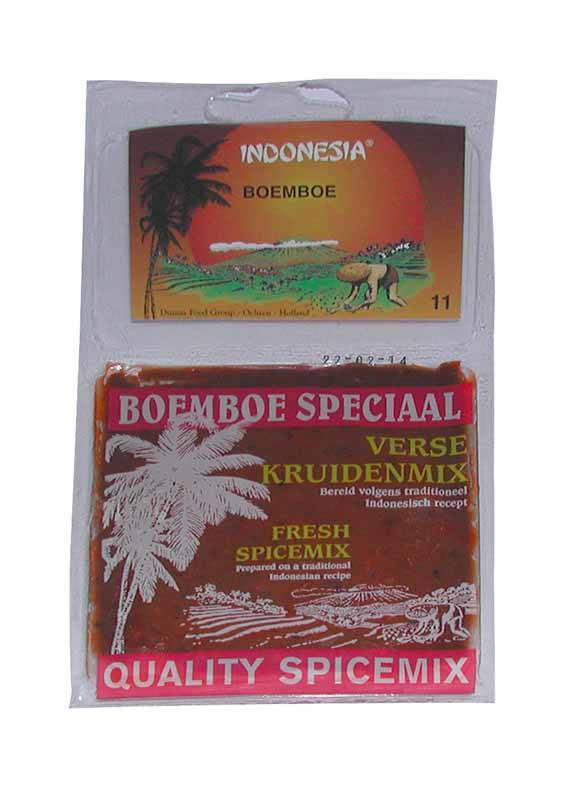 This is different than the Roedjak sauce for fruits. 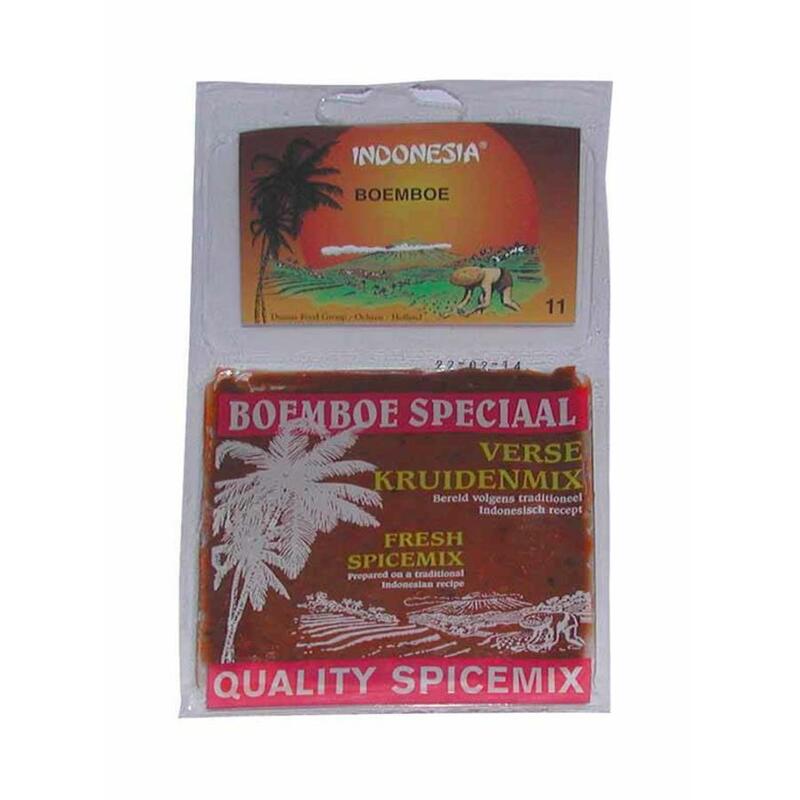 The medium spicy Roedjak sauce has a light coconut flavour with the traditional Indonesian spices such as kaffir lime leaves, Lemongrass, candle nuts and laos.